göt2b strikes the perfect balance between serious heat protection and superior style with a NEW line of styling products with advanced heat protection. 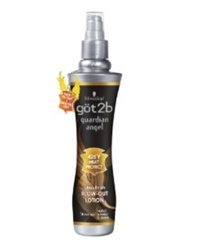 In a world where women battle with heat styling appliances daily, it’s reassuring to know that divine intervention is now available from göt2b guardian angel. Developed with heavenly hair in mind, göt2b unlocks the secret to superior heat protection plus advanced styling support. 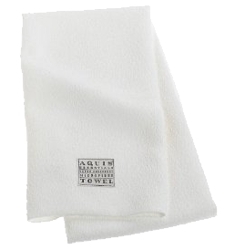 Each product is formulated with an innovative patented heat-activated polymer technology that delivers proven 425°F heat protection with a glossy finish. Fear not your flat iron and pick up your blow dryer with confidence, knowing that your hair will be safer and more beautiful than ever. 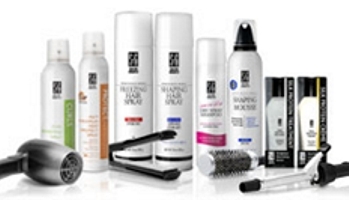 With göt2b guardian angel styling products, you can create the look you crave while helping protect hair from the damaging effects. Unlike other styling products that breakdown at high temperatures, guardian angel products contain a patented heat-activated polymer that forms a protective layer around the cuticle, delivering shine agents. 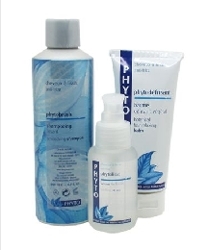 This innovative coating withstands the high temperature ranges of hair appliances for proven high-temperature resistance and healthier looking hair. Among young women 18-24, heat styling usage is prevalent: 88% use blow dryers, 71% use flat irons and 64% use curl irons. With the use of heat styling tools estimated to grow more than 6.7% in 2009, göt2b’s first-ever patented 425°F heat protection is designed to maximize styling performance no matter what styling tool you choose. 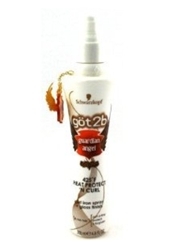 The göt2b guardian angel collection is available nationwide at food and drug retailers nationwide. Henkel has been committed to making people’s lives easier, better and more beautiful for more than 130 years. A Fortune Global 500 and Germany’s most admired company according to a recent Fortune survey, Henkel offers strong brands and technologies in three areas of competence: Home Care, Personal Care and Adhesive Technologies. Each day, more than 52,000 employees in 125 countries are dedicated to fulfilling Henkel’s claim “A Brand like a Friend.” In fiscal 2008, Henkel generated sales of 14,131 million euros and adjusted operating profit of 1,460 million euros. This entry was posted on Wednesday, January 17th, 2001 at 8:52 pm	and is filed under Hair. You can follow any responses to this entry through the RSS 2.0 feed. Both comments and pings are currently closed.